Re:vision, the charity subsidiary division of Reallies Partner Procure Plus works with a variety of organisations to support people on their journey to employment. As well as supporting individuals directly, Re:vision also assist organisations with funding and improving their services, through capacity building support and the provision of professional training and development for frontline advisors. One of these groups is the Birchwood centre in Skelmersdale. The Birchwood centre is an independent charity providing a range of services for 13 to 25 year olds. It provides supported accommodation for up to 24 months depending on the help needed by clients. Birchwood also provide training and development to help young people achieve their full potential. To support this Re:vision seconded their Employability Officer, who had been working on a placement at Birchwood two days a week, to provide employability support to Birchwood residents, one of which is Shane. Shane was born in West Lancashire but moved to Gloucester in 2016 to be with his partner. Unfortunately, this relationship broke down and Shane ended up in a hostel. In a bid to put his life back on track he returned to Skelmersdale where he sofa surfed for a short while. This is how he became involved with the Birchwood Centre. Shane required mediation with his family and it was through the mediation team that Shane expressed that he would like to do an apprenticeship in construction. 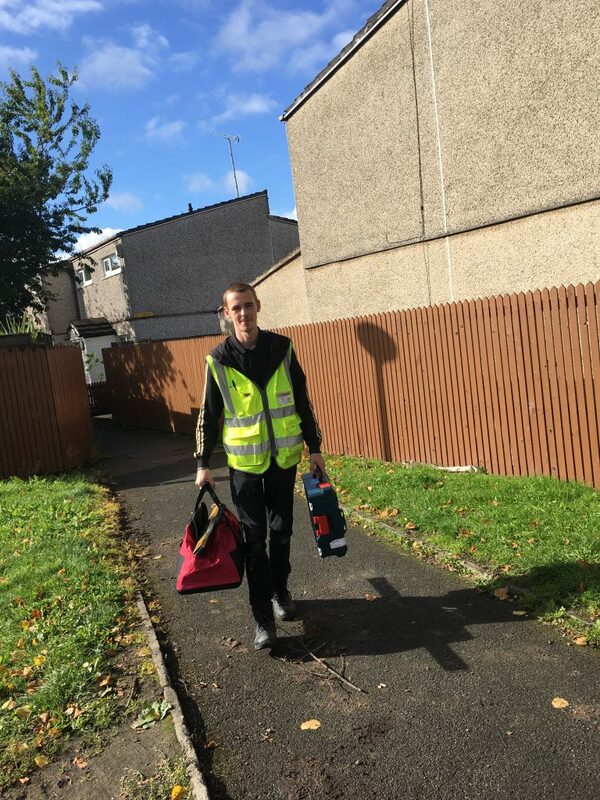 With the assistance of the Employability Officer, Shane was referred for a maintenance operative apprenticeship in April 2018. However, it became clear he was not work ready. 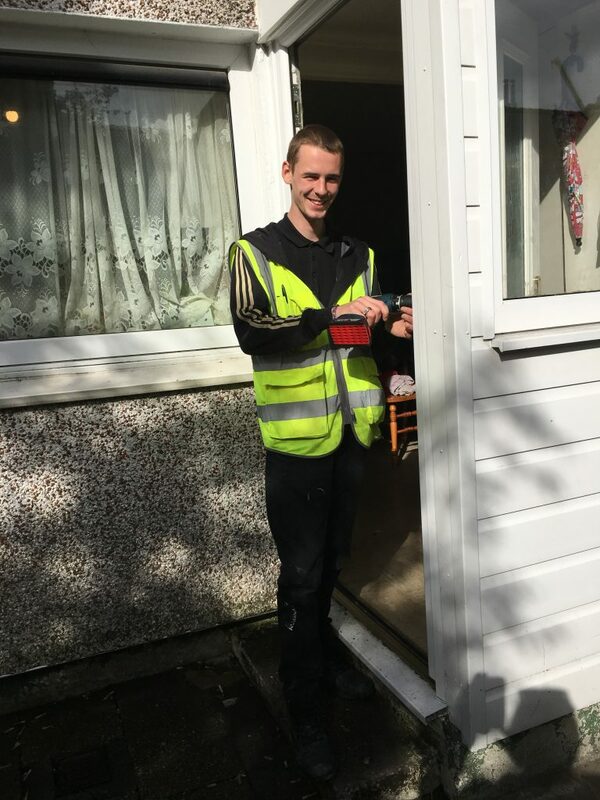 The Employability Officer continued to support Shane, helping him to increase his confidence and develop his skills so that in August 2018 Shane was able to apply for another position as a maintenance operative. At this point Shane was in a secure relationship and was now the proud step-father to a baby boy. He had been spending the past few months looking after his baby whilst his partner worked. Shane explained that he was now in a far better place and now wanted to prove to his young family and himself and he could make a career in the construction industry. Re:vision & Birchwood agreed he was now job ready and was then referred to a contractor for the position of maintenance operative. Following a successful interview Shane was offered a week’s work trial but he had no way of getting to site. Re:vision were able to assist and arranged a bike for him through the Financial Assistance project at the Job Centre, and Birchwood were able to buy clothing that was suitable for a Construction site. Shane was successful in his work trial and was offered the position. He doing his college course, earning a decent salary and has received his tool kit from Re:vision and in his words is “loving my new job”. Shanes next goal is to start driving lessons giving him more flexibility within his job. Funding and support like this is made possible through the unique way in which Reallies frameworks are built from the ground up to include added social value benefits within the communities our customers operate.